Dr. Lydia De Castro, retired professor of the DLSU Civil Engineering Department joined our Creator last night of Dec. 21, 2015. Her remains lie in state at Funeraria Paz, Araneta, QC. She will be cremated on Dec. 24, 2015, Thursday. 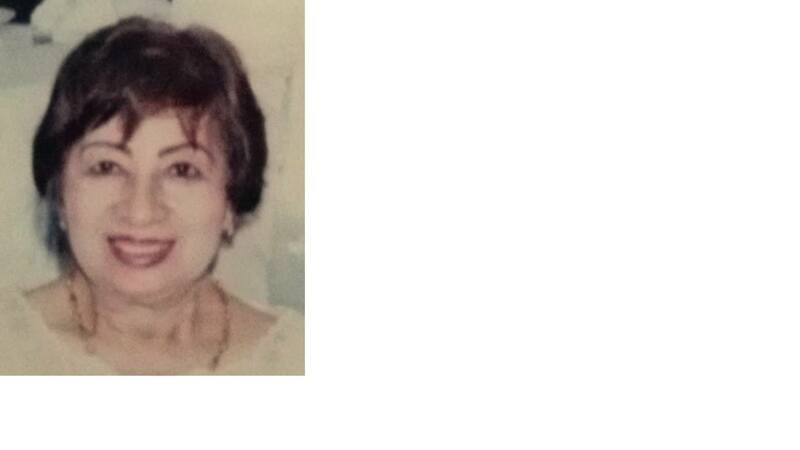 Dr. De Castro was one of the Pioneers of the CE Department. She has a PhD in Geotechnical Engineering. She taught courses in Surveying and Foundation Engineering in the undergraduate program and Geotechnical courses in the Graduate program. She has been a friend, a "ninang", a colleague, a teacher and adviser to many of the present faculty members and CIV alumni of the CE Department. Considering that De La Salle University has a MOA with Meijo University since 2004, the GCOE group composed of Dr. Jonathan Dungca (GCOE Dean), Mr. Dennis Cruz (GCOE Director for External Affairs), Dr. Pag-asa Gaspillo (Vice-Chancellor of DLSU STC) and Dr. Andres Oreta (GCOE QA Director visited Meijo University last Dec. 15, 2015 to explore future cooperative and collaborative activities under its MOA on exchange of students, faculty, scientific information and materials and joint research/meetings. The GCOE group met Dr. Shigeru Fukushima (VP, Office of Int’l Affairs), Dr. Ananda Kumara (Dean, Department of Foreign Studies), Dr. Mami Futagami (Prof. , Foreign Studies), Dr. Ge Hanbin (Prof., Structural Eng’g) and the staff of the Office of Student Affairs and Dept. of Foreign Studies. Based on the meeting Meijo U is proposing that DLSU accept Meijo U students enrolled in their new program on Foreign Studies which will start on April 2016 for short exchange program with activities such as English Lessons, OJT, Practicum and/or, Community Engagement. This exchange program aims to develop the English proficiency and communication and people skills of the students and expand their knowledge on the culture, government and education of a foreign country like the Philippines. Other possible activities will be faculty and student exchange on research in civil engineering, mathematics and other fields where Meijo U has expertise. The Gokongwei College of Engineering (GCOE) has committed to pursue academic exchange and cooperation with Nagoya University (NU) with the signing of the following two documents last December 14, 2015: (a) Agreement for Academic Exchange and Cooperation between the College of Engineering, De La Salle University, Philippines and the Graduate Schools of Engineering and the Graduate Schools of Environmental Studies, Nagoya University, Japan, (b) Student Exchange Memorandum between the Gokongwei College of Engineering, De La Salle University and the Graduate Schools of Engineering and the Graduate Schools of Environmental Studies, Nagoya University. Signing for GCOE were Dr. Jonathan Dungca (GCOE Dean) and Mr. Dennis Cruz (GCOE Director for External Affairs). Prof. Tomohide Niimi, (Dean of the Graduate School and School of Engineering) and Prof.Hiroshi Kanzawa (Dean, Graduate School of Environmental Studies) signed for Nagoya University.The signing of the MOA was part of the Networking Mission of the GCOE team composed of Dr. Dungca, Mr. Cruz, Dr. Pag-asa Gaspillo (Vice-Chancellor of DLSU STC) and Dr. Andres Oreta (GCOE QA Director). Dr. Gaspillo and Dr. Oreta are alumni of Nagoya University and vice President and secretary of the Nagoya University Alumni Association – Philippine Branch, respectively. Engr. Rodolfo Mendoza, former part-time faculty of the CE Dept. who is now a PhD student at Nagoya University also joined the meetings. The GCOE Networking at Nagoya University includes visits of the N2U-BRIDGE (Nexco-Central and Nagoya University, Bridge Model with Restoration and Integrated Deterioration for Global Engineers), Geotechnical Engineering Lab and the Disaster Mitigation Research Center. Discussion meetings with the Professors of the Department of Civil Engineering, Environmental Science and Chemical Engineering were conducted. DLSU GCOE will explore the PhD sandwich program, short research visits of faculty and graduate students and technical tours as possible activities with Nagoya University. Nagoya University launched last Dec 2, 2015 a satellite campus at UPLB for the Agricultural Science and International Development PhD Programs. DLSU GCOE will also explore the possibility of inviting NU to set-up also a satellite campus for Engineering programs at the STC. Nagoya University is one of the leading universities in Japan and in the world. Since 2001, six of its researchers and professors received Nobel Awards for outstanding research in chemistry and physics. Joseph Benjamin Z. Cruz (ID. 111 BS CIV-CTM, ID 113 MS CE), BSMS-CIV student was awarded a Major Award, the Gawad Fr. 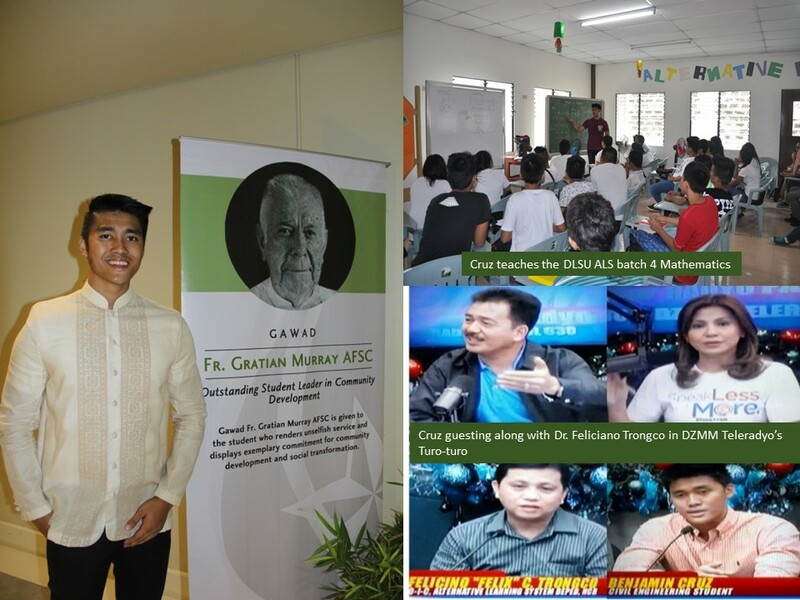 Gratian Murray AFSC (Outstanding Student Leader for Community Engagement) at the Gawad Lasalyano 2015 Gabi ng Parangal held in Teresa G. Yuchengco Auditorium last November 23, 2015, . He is the first Civil Engineering student to receive this award. The Gawad Fr. Gratian Murray AFSC (Outstanding Student Leader in Community Development) is given to the student who has renders unselfish service and displays exemplary commitment for community development and social transformation. 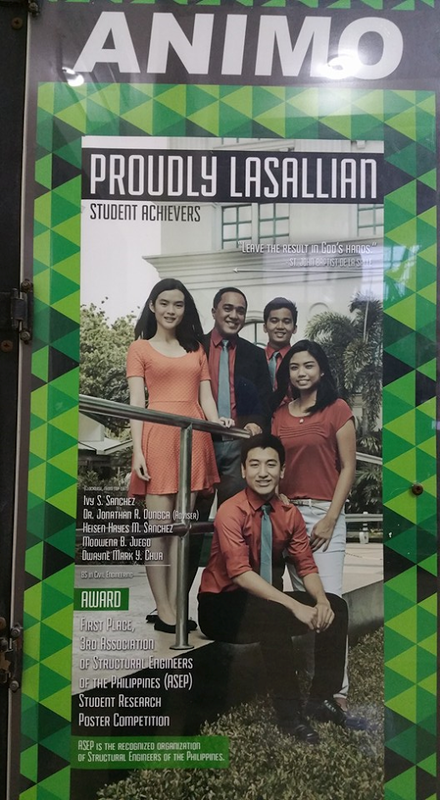 Benjamin Cruz is the first student volunteer to take part in DLSU-COSCA’s Alternative Learning System as a Math teacher. This is under the program ARAL (Alternative, Relevant and Active Learning) with the slogan, “Aral patungo sa trabaho, pagpapakatao at pag-unlad”. This program aims to equip young and adult learners with values, skills and competencies that will enable them to become professionals, entrepreneurs or skilled workers that embody Lasallian values and principles. He served for two years in this program teaching the 3rd and 4th batch of DLSU-ALS alongside his fourth year of active service in the professional organization, Civil Engineering Society (CES). His efforts were recognized by the Office-In-Charge of Alternative Learning System under the Department of Education, Dr. Feliciano Trongco in an interview with Professor Popoy de Vera and Ms. Jing Castaneda of DZMM Teleradyo’s Turo-turo. Benjamin Cruz was also recognized as the youngest Instructional Manager in the Abot Alam Program & Alternative Learning System Accredidation & Equivalency Program held last March 2-6, 2015 as recognized and certified by the Department of Education. 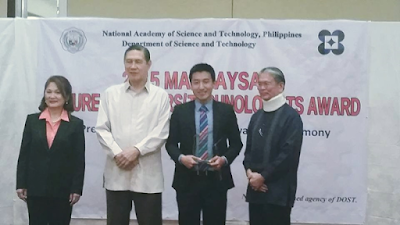 Dwayne Mark Acosta (2nd from right)) receives the award. Dr. Angel Lazaro III, founding DLSU COE Dean is shown besides Dwayne. Dwayne, who just graduated last October 2015, received various awards such as honorable mention award, gold medal award for outstanding undergraduate thesis and Eduardo M. Cojuangco Jr. award for excellence in leadership and research innovation.Dwayne and his thesis mates (Modwena Juego, Heisen Sanchez and Ivy Sanchez) also won first place in the research poster competition of Association of Structural Engineers of the Philippines (ASEP) Poster Competition. Dr. Jonathan Dungca, GCOE Dean is the thesis adviser of the group. The Magsaysay Future Engineers/Technologists Award aims to recognize outstanding research outputs on engineering and technology at the collegiate level and to encourage young Filipino students to pursue a career in science. The competition is open to Bachelor of Science students enrolled in an Engineering program or related fields.